Click below to obtain specific directions from your location. 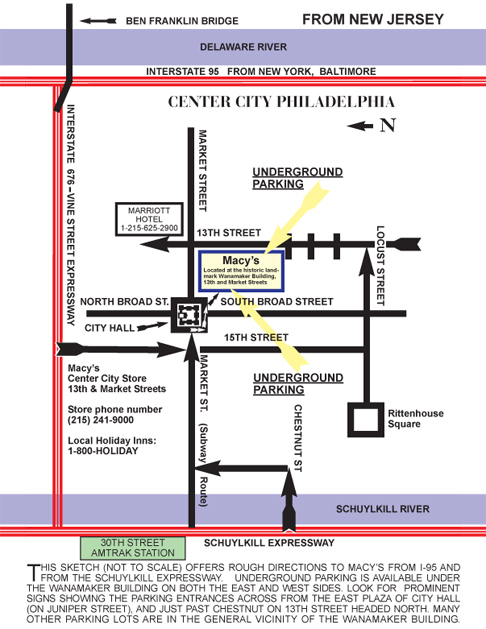 Click here for a map that shows hotels and parking. Here is a simplified driving map that may be printed after clicking on the image. Please note that it is not oriented North-South when comparing it with the Google map above.